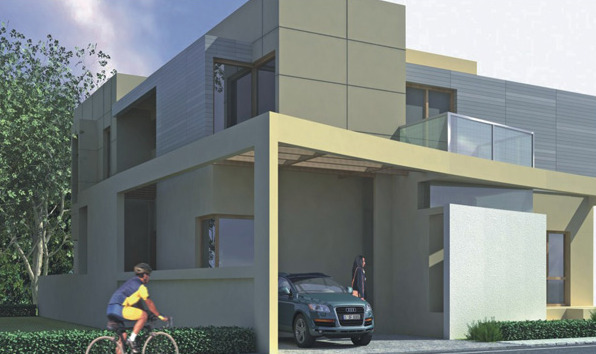 ETA Star Contemporary Villa – Upcoming venture from ETA Star Property Developers Ltd, located at Whitefield, Bangalore. The project will be ready for occupancy by 2018. ETA Star Contemporary Villa is located in an area which is very suitable for the IT professionals. Major institutions and IT companies are close to ETA Star Contemporary Villa. The location of the project is near to many companies in and around Whitefield. This is a mega launch from the ETA Star Property Developers Ltd in the East Bangalore. Among the suburbs of the city, the address most coveted is near upcoming ETA Star Contemporary Villa Whitefield. The old neighborhood has transformed into a cosmopolitan nerve-centre hosting an assortment of housing options as well as options for shopping and entertainment. Continuous upgrade of civic infrastructure has fast-tracked development in this belt. With such important location, ETA Star Contemporary Villa will be like hot cake in the market. ETA Star Contemporary Villa comes with 3 BHK configurations in size of 2400 Sq ft with 3 Bedroom, 1 Kitchen and 3 Bathroom. Whitefield, an IT hub is located in the eastern quadrant of Bangalore. The vicinity has witnessed an influx of global lifestyle and rapid urbanization. Many builders are encouraged to launch their new projects. The presence of educational institutions, health care centers and essential civic utilities have favored the aforementioned upcoming suburban project. ETA STAR PROPERTY DEVELOPERS LLC, a part of the well-known ETA ASCON conglomerate, is one of the leading property development companies in GCC. ETA Star was established with the prime objective of serving the burgeoning commercial opportunity in U A E's Free-hold market. The company offers the whole array of services in Property Development and Hospitality Services. The ETA Ascon group has over 35,000 employees in offices spread across 28 countries. ETA Ascon represents some of the world's leading manufacturers and service providers. The group's track record of performance and growth exceeds even the most stringent criteria it sets for itself, as one of the Arabian Gulf's outstanding business ventures.